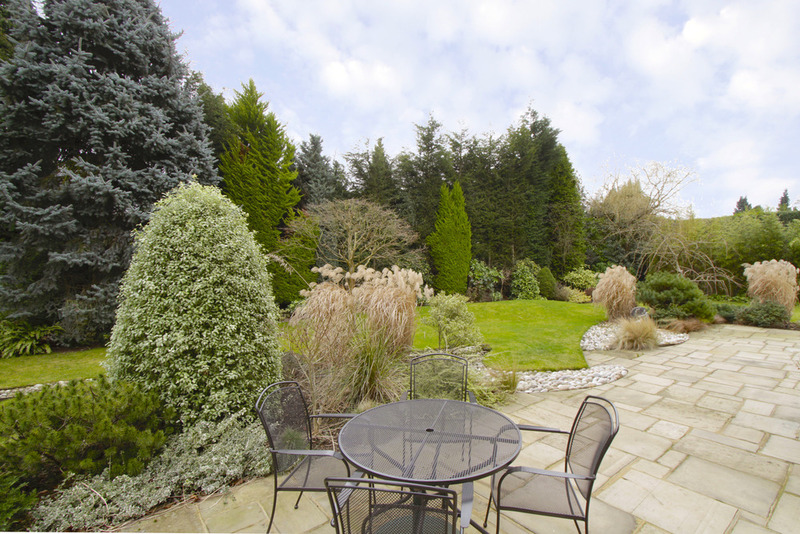 Coombe Ridings is an extremely quiet residential road and is within minutes walking distance of the famous 2,360 acres of open parkland of Royal Richmond Park with a pedestrian gate from Ladderstile Ride and vehicular access from Kingston Gate. Kingston, Wimbledon and Putney town centres offer a wide selection of shops, boutiques and department stores and an extremely wide selection of restaurants. The famous Wimbledon Village is but a short drive. The A3 which is very close by offers important links to Central London which is only eight miles away and the south coast which is one hour away. Heathrow and Gatwick airports are also within easy reach. The area is well renowned for its wide variety of excellent league table schools meeting all ages and genders and served by many school pick up bus route points. Built circa 1970, this splendid house is set within approximately 0.33 of an acre in an exclusive setting within a sought after prestigious and private residential road off Kingston Hill. The property was designed and built to the owner’s specifications including concrete flooring to the ground floor and has since been the subject of a complete refurbishment to include new services, double glazing, new bathrooms and fully fitted kitchen and utility room with the addition of the new double garage and front perimeter wall offering complete seclusion from the road to enjoy the sun throughout the day. The property boasts spacious accommodation arranged over two floors only with the benefit of a very large loft which could be converted subject to the usual necessary planning consents. In addition to the three very spacious reception rooms is a large entrance hall which has in the past been used as a living space with quality wood flooring to the hall and front and rear reception rooms. The family room and reception room are connected by wide double sliding doors, the reception room also has wide double sliding doors opening to the hall. With all doors open, the three rooms can be used as one large entertaining area. The external compact appearance of the house is internally surprisingly spacious, at the same time having a welcoming feel to it. All four bedrooms boast floor to ceiling built-in cupboards and two have en suite facilities. Additionally the house has a gardener’s toilet between the dining room and utility room. If ever required the dining room could be converted into a fifth en suite bathroom and the family room used as a dining room. Another feature is the 2.63 m high ceiling to the ground floor and 2.59 m to the first floor. The Japanese landscaped garden which borders the property from three sides gives the impression of actually living in the garden. 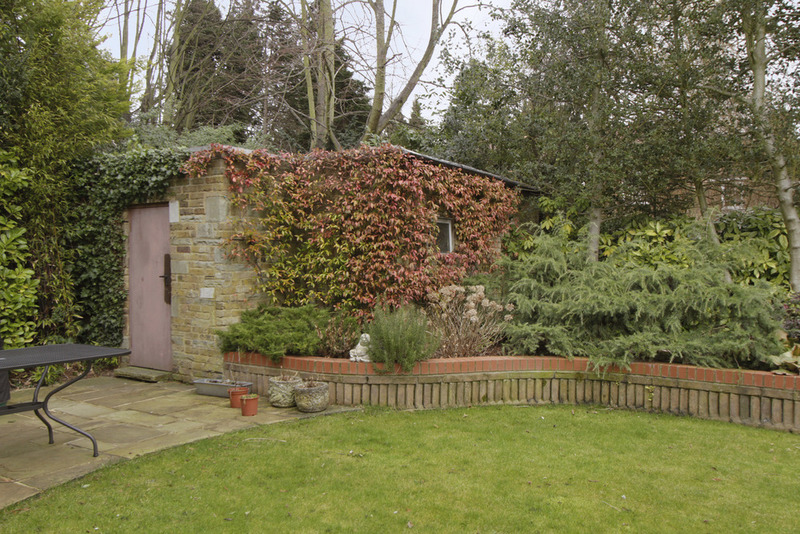 The garden also features a free standing brick building useful for many purposes eg: garden storage, workshop, etc. 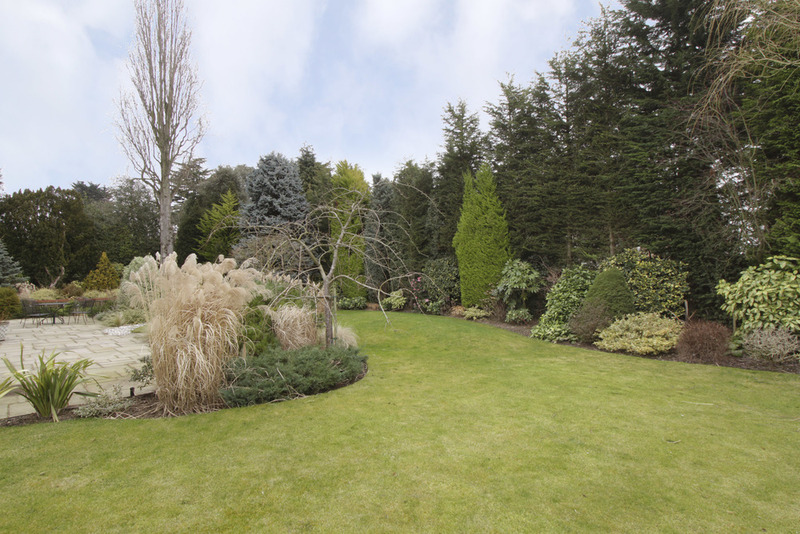 The garden has well stocked borders in addition to many mature trees offering seclusion from the adjacent properties. To the front through the remote control wrought iron gates and pedestrian gate is a large mono block paved forecourt with ample forecourt parking. Overall this lovely family home is extremely bright and still offers the incoming purchaser further scope to extend the house or remodel it internally to suit one’s requirements. NOTE: No warranty is given concerning this property, its fittings, equipment or appliances as they have not been tested by the Vendors Joint Sole Agents. Measurements are approximate and no responsibility is taken for any error, or mis-statement in these particulars which do not constitute an offer or contract. No representation or warranty whatever is made or given either during negotiations, in particular or elsewhere. No part of this publication may be reproduced in any form without prior written permission of Coombe Residential Ltd. All rights reserved.